Meet Tracey Horton! She inspires me!! 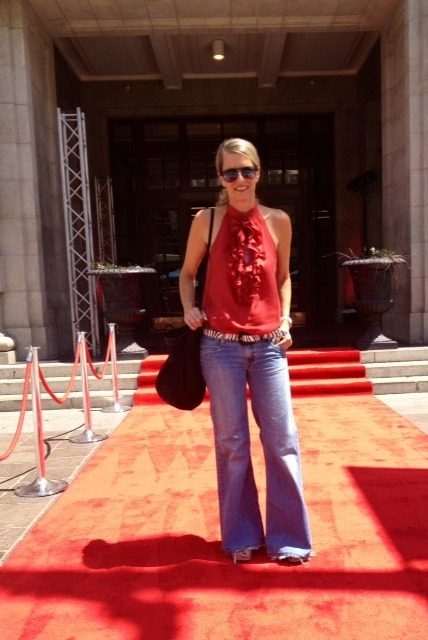 Tracey, is Chairman of the Perth Fashion Festival. She is also a wife and mum of two teenage boys, a graduate of Stanford University, an ex-Reserve Bank Economist, Chairman of the Board at PLC and former Dean of UWA’s Business School. 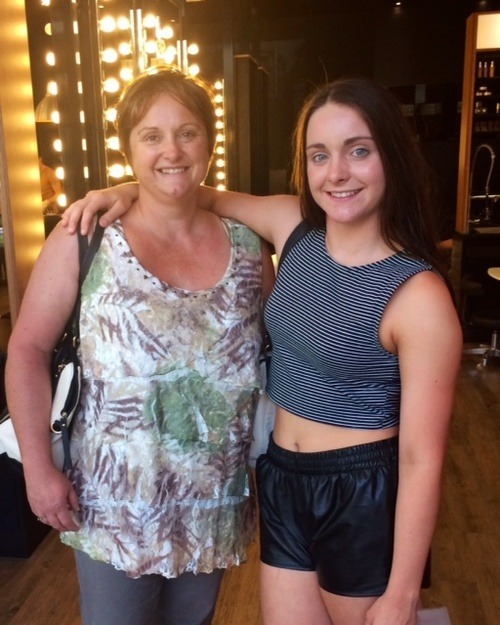 The list goes on… Tracey is one amazing woman, a delightful new friend and she now has an interest in fashion! WooHoo!! 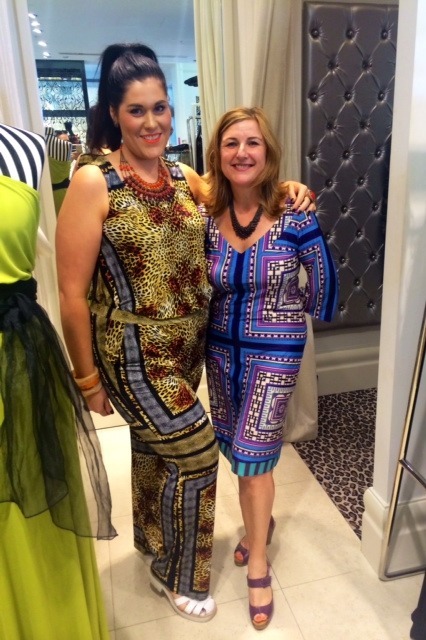 After styling Tracey for PFF in 2013, Tracey and I have kept in touch. 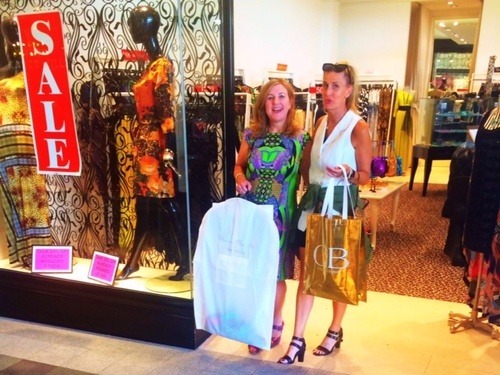 At first, she was a little unsure of being ‘styled’ by a stranger, but found she really enjoyed having some AndAndrea fashion fun!! Recently, Tracey asked me to style her for the Leeuwin Concert. She wanted something glam, but a bit different. No boring stuff please. So, we zipped into Charlie Brown at CQ and oops…with the help of Manager Kirra (above) a true Charlie Brown Angel, we also found a few extra ‘everyday’ dresses along the way (see above). In the past, Tracey avoided prints and patterns. 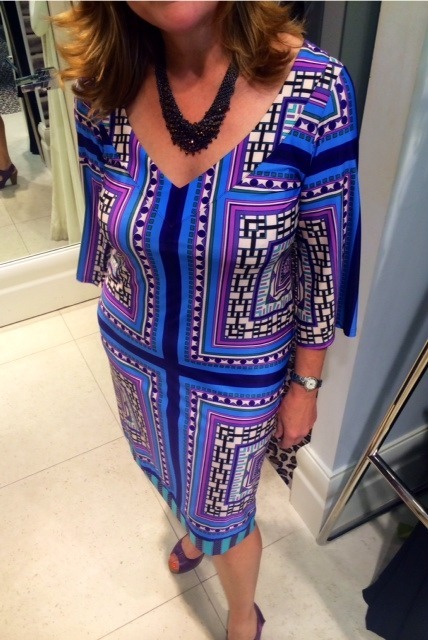 She now wears bold prints confidently and loved this ‘WOW’ shift dress! 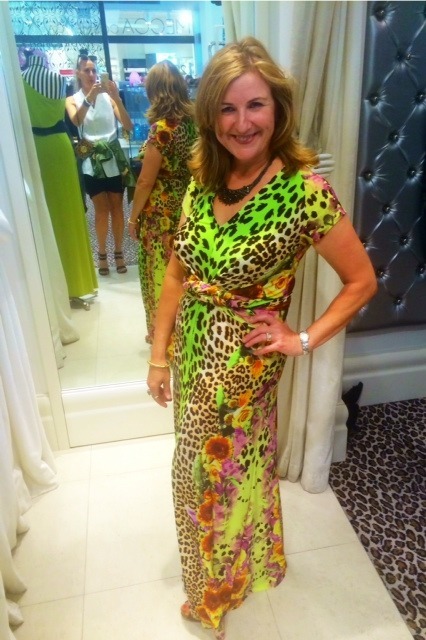 Yes, we got a little side tracked and even gave a floral / leopard maxi a go… just for fun! Hawt!!! 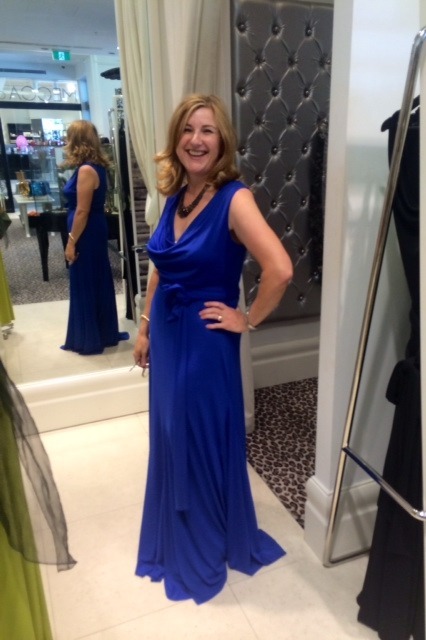 This cobalt blue gown was tempting, but plainish and not what Tracey had in mind for this outdoors, under the stars occasion. Ta daaaa! Tracey finally decided on this pure silk wrap. It ticked all the boxes…wide V-neck, accentuated the waist yet skimmed the tummy and hips. It was also a little flirty, and fabulously feminine!! The rich tones, muted pattern and total comfort won her over. 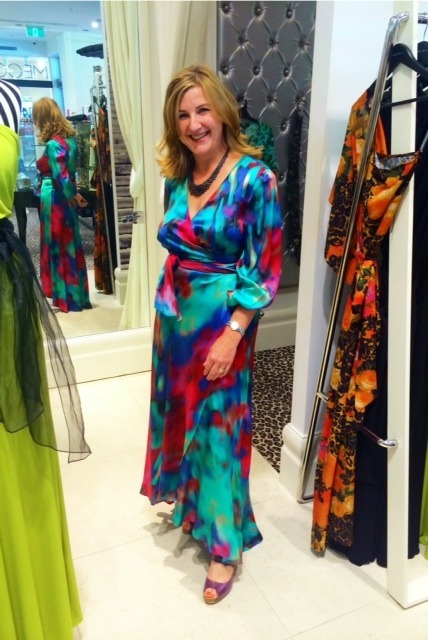 And here she is… looking glam and feeling fabulous at Leeuwin. 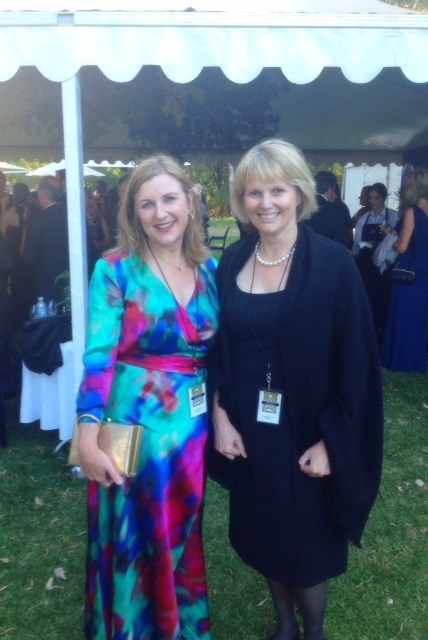 Pictured with Deidre Wilmott CEO of CCI. Tip: notice the bellowy sleeves have been customised. Tracey felt they were too voluminous for her. Voila, they were easily tapered and shortened. Try altering, tucking or customising your clothes, to suit yourself! 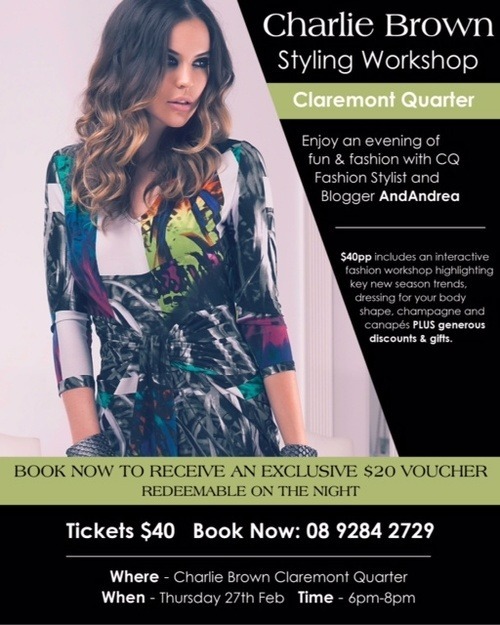 If you, like Tracey would like an AndAndrea styling experience, call Julie or Steph at CQ Guest Services Lounge on 9286 5885. I am available 7 days a week! ** Exciting news… You’re invited to an exclusive AndAndrea / Charlie Brown Workshop!! The store will be closed for this private function. Enjoy nibblies and a glass of bubbles whilst you learn style tips and current trends. Plus receive a $20 gift voucher to spend on the night. So, get the girlies organised and book in for some fashion fun!! PS. Tracey wears current Charlie Brown stock in every picture. 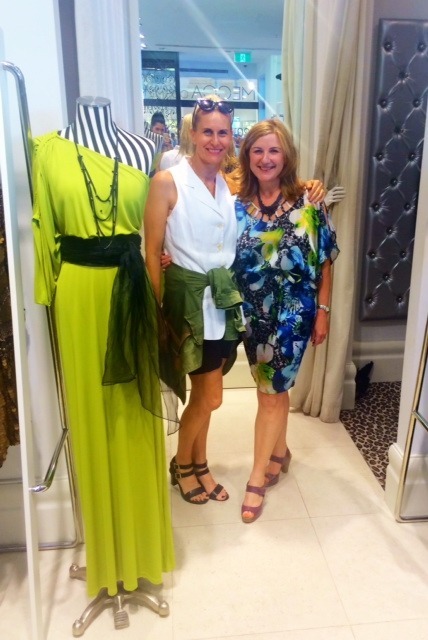 If you spotted a fave, then pop in and see Kirra at CQ… she will sort all your fashion needs. Let's Party Steph Audino Style!